He fell in love with J’Ouvert at the age of three, hitched on his grandfather’s neck watching his family play with J’Ouvert band Rumco, as they passed along the Western Main Road, St James. Brandon Callender enjoying J'Ouvert at age three. Each year since then, except when he was battling cancer, Brandon Callender never missed a J’Ouvert, first as a spectator, then a player and now a mas band producer. Fast forward 13 years later after his J’Ouvert debut, the love that Callender felt the first time he experienced mud and paint dirtying his skin and clothes, blossomed into him launching his very own band, J’Ouvert Brand. In between his J’Ouvert christening and his launch last year, Callender was diagnosed with Non-Hodgkin Lymphoma. The disease was discovered in 2012, all the while he was preparing for and later writing Secondary Examination Assessment (SEA) and entering form one of his top schools choice, Queen’s Royal College. Having been diagnosed, he spent most of his days of form one being given intravenous chemotherapy treatments. Speaking with the Sunday Newsday at his mas camp along Cawnpore Street, St James on Friday, Callender backed by his employees/business partners/parents and grandparents, says he hopes to take J’Ouvert internationally. As a student attending Newtown Boys RC, he found his left shoulder was frequently paining. His parents, thinking it was due to his heavy school bag decided to carry it for him. Yet the pain continued. In December 2011, the then triathlete competed in a duathlon and midway through he experienced severe pain in his chest. One doctor visit led to others and eventually an MRI was recommended, by this time it was 2012 and he was nearing the time to write SEA. A mass was discovered above his left lung, a biopsy was done and he was diagnosed with the disease. He received treatment at the Eric Williams Medical Sciences Complex, Mt Hope at The Just Because Foundation (JBF) ward. There he received aggressive chemotherapy, and on July 1, 2013, he was told that the cancer was in remission. 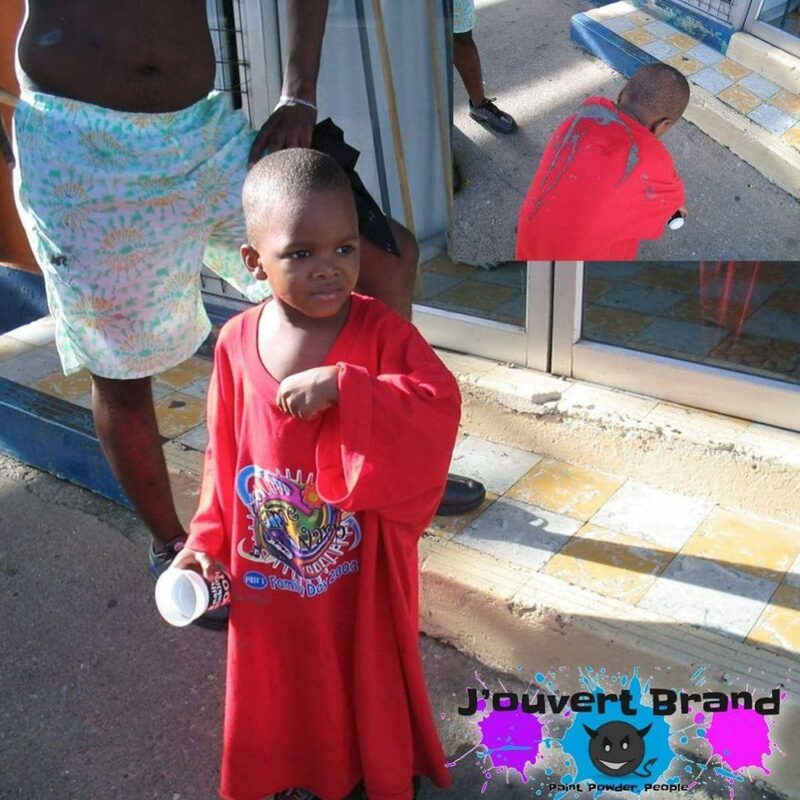 The one year he missed J’Ouvert in 2013, Callender had asked his parents to stop his treatment as he was missing out, not only on J’Ouvert but the sports he wanted to play and just being a boy entering his teenage years was at that time a burden. But with the support of his family, he fought harder and eventually won the battle, literally of his life. He continued his schooling, played pan for the school, even touring with the band in his final year and earned himself seven passes and one four in Art. Ironically it is Callender who creates the artwork for his band, supported by a scribe of a mother, Jan-Michelle Callender, who documented his life. With her background in graphic designs, Callender offers advice to her son on how to tweak his work. She told Sunday Newsday, supported by her parents Junior and Gloria Best-Mitchell, that although they assist as best as they could, 17-year-old Callender is the boss. He dedicated his launch last year to the West Indies women and men T20 teams after they both won their tournaments one year prior. The title of his band was Champions, and while the turnout was far less than he had hoped with 100 members, his spirit was not daunted. Callender added that surviving cancer was indeed a life changing experience and that allowed him the bravery to launch his band last year. With the full support of family and friends, he leaped into mas making and has started a trend he says will be maintained giving part proceeds of the band back to JBF. “There is no age to do anything. It was challenging launching my J’Ouvert band last year and have Caribbean Examination Council (exams). I will tell people my age or anyone not to study the little things in life,” the second of three children said. Callender said he hopes one day to reach to the level of party promotion as Jules Sobion, founder of Caesar’s Army. Currently he is pursuing his diploma in civil engineering at the University of Trinidad and Tobago and hopes to reach to the masters level in that field. In between, he hopes to attain some accolades in sound engineering. He plans to marry his love for J’Ouvert with his soon to be achieved accreditation in sound engineering to bring about a better experience for his band. Civil engineering, he said will be his day job to keep the lights on outside of the Carnival period. This year his theme is Glow. Callender says he plans to create a new experience for J’Ouvert with glow in the dark paint. He decided on black T-shirts and monokinis, which will enhance the glowing paint. With a well stocked bar, backed by Angostura, breakfast, consisting of corn soup, pholourie, doubles and coffee, tight security and black light to enhance the look of the painted bodies, Callender hopes to offer an experience to 200 players like no other. 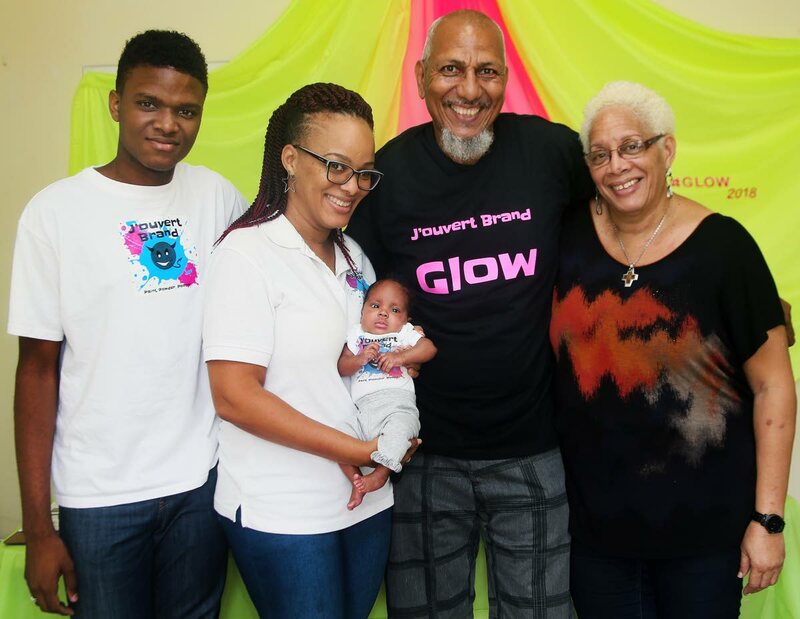 Reply to "Teen cancer survivor celebrates in Carnival J’Ouvert Glow"